This attraction was the proposed attraction for Disneyland Paris and Tokyo picked it up. I wonder why Paris didn't get this. I mean the movie plays in France so it made sense. Oh well, maybe they can get it later on or is this Tokyo exclusive for several years? What are the odds DLR gets this instead of or in addition to Frozen as part of a FL expansion? I think its a similar style with Poohs Hunny Hunt. Wow these AAs look great and the ride system/ vehicles look like they are a great choice for the IP. 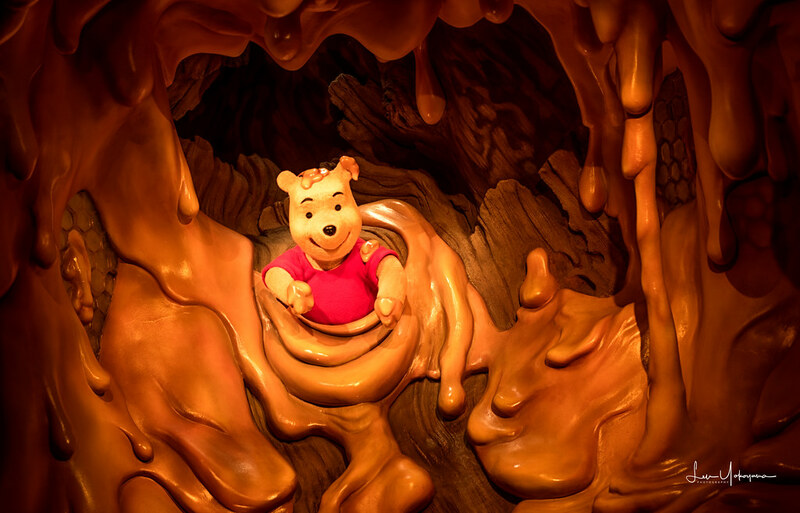 And I thought the Pooh's AAs looked surprisingly good in Hunny Hunt. Especially when you compare the AA's to the other versions of the Pooh rides at the other Disney parks. In the Tokyo version, they look more lifelike since they we're given fur while the other version are motionless and lifeless. For sure, we defintely have the worst Pooh in the world. Lol. The sets also look much better in Tokyo. 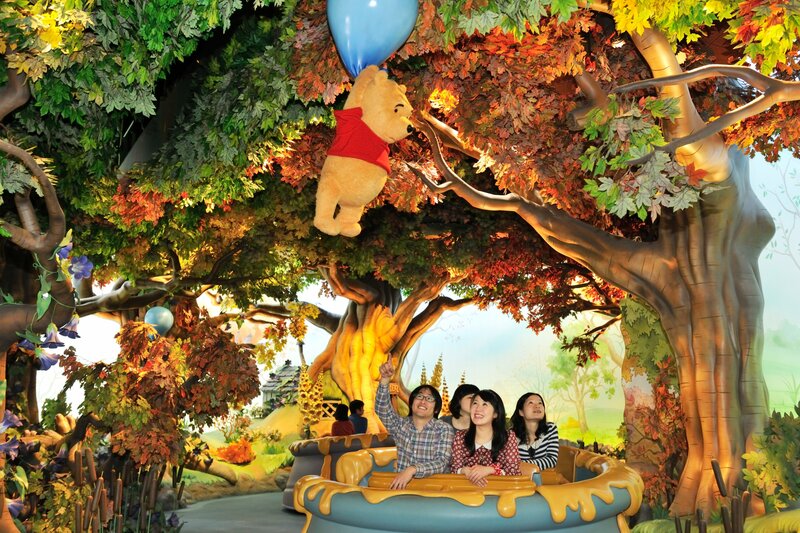 The B&TB ride in Tokyo will finally establish that the amazing, wonderful and delightful Pooh’s Hunny Hunt is a D-ticket. Not that there is anything wrong with that, probably one of the best D-tickets out there. This has long been my most anticipated ride worldwide for 2020, as in I think it is easily a top ten ride candidate. (hoping for a strong performance from Osaka with Nintendo). It’s sad that Orlando’s expansion is so much bigger and yet somehow weaker. Sometimes a good E ticket and show are better than a smattering of half good attractions. That Belle searching through the woods animatronic.... wow. Why can't rides just be exclusive to one resort? Why does everyone feel everything needs to be duplicated in another resort? Not saying I wouldn't like this ride in Disneyland or World, but like some rides need to be exclusive to some resorts. Found a good animated gif of Belle. I remember hearing the Tokyo Beauty and the Beast LPS ride was originally proposed for Paris. Why can't rides just be exclusive to one resort? Why does everyone feel everything needs to be duplicated in another resort? Because some people don’t want to pay the money to travel to the other resorts, so attraction exclusivity shouldn’t be a thing ( ). Fresh Baked Disney just did a video that stated that their "Sources" are saying that the Beauty and the Beast attraction is coming to Fantasyland where it used to be the motorboat cruise. I will take this rumor with a grain of salt but wish/hope the rumor is true. While I would love for this attraction to come to DLR, lets not forget that Fresh Baked reported the Monorail was getting rerouted when instead the Matterhorn queue was just being reconfigured. That Tokyo version, so amazing. Would the DL show building remotely had the space to build this version? Doesn't feel like it but really a shame if they did and just chose to build what we got. Yes, but if you watch the video, David not only explains why this BatB rumor might be true, he also discuses why it might not be true. It’s pretty level headed. I’d love to see someone from WDW give up POTC, HM, BTMRR, IASW, Splash, Jungle Cruise, Peter Pans Flight, Star Tours etc. That's like you saying they should build the Empire State Building in Los Angeles because some people don't want to pay the money to travel to NYC. If you don't want to pay the money to travel then your gonna miss out. That's how it works with everything else in the world. Not saying every attraction should be like this, but the fact that almost every attraction in Hollywood Studios and Magic Kingdom can be experienced in another park isn't good in my opinion. Hell, give up all of MK. There should only be on Disneyland-style park. Tell the folks with that mindset this.